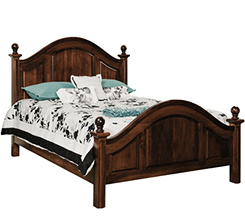 Amish Mission furniture makes a great addition to any bedroom. 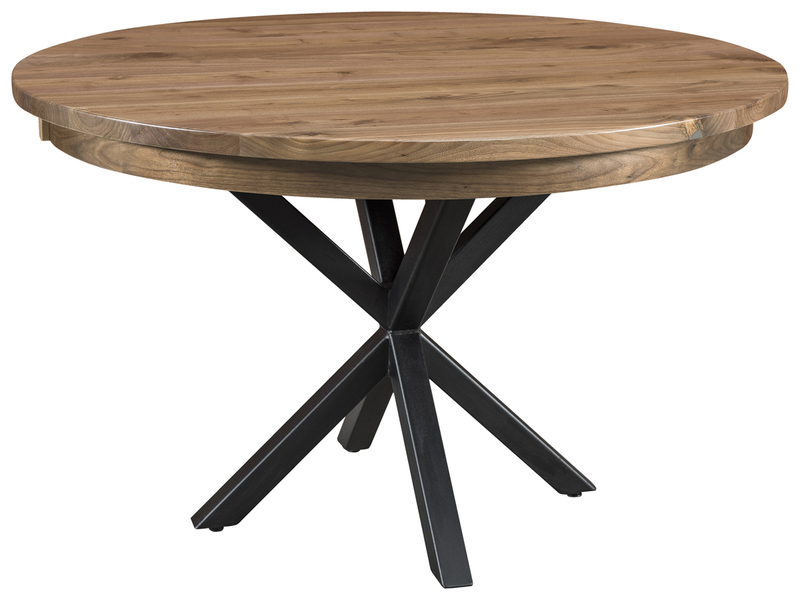 No matter the type of piece you need, this high-quality solid wood furniture from AmishOutletStore.com will transform your home. A bedroom is a place of rest and comfortability, and beautiful Mission bedroom furniture ensures it stays that way. A gorgeous Mission bed serves as the centerpiece of your bedroom. Then, add a chest of drawers, a pair of nightstands and a blanket chest to complete your new Mission style bedroom. Mission style furniture dates to the late 19th century but remains popular in homes today due to its modern yet classic appearance. The style is characterized by features like straight lines, parallel slats and flat panels that accentuate the natural grains of the wood. Due to the durability of its solid wood construction, Mission bedroom furniture can be passed down from generation to generation. Because the Mission style uses solid wood, it can be easily customized to match your existing furniture or to complement your bedroom’s current décor. Our Mission bedroom furniture is available in a variety of wood types and stain colors. Most pieces are available in quality woods like oak, cherry, Q.S. white oak and maple. We use only the highest quality northern kiln-dried hardwoods to ensure your bedroom furniture will last for years to come. Then, choose from our vast selection of light, dark or medium-colored stains. Whether you’re looking for a single item to complement your existing furniture or are redesigning your entire bedroom, we have a solution for you. We sell Mission bedroom sets as well as individual pieces. Our Mission beds come in a variety of styles and sizes, including King or Queen. Choose from slat or panel style headboards and footboards, as well as low or high footboards. If you’re looking for a truly unique Mission bed, we also offer a day bed and a platform bed with built-in drawers for additional storage. With so many options to choose from, you’ll surely be able to find the perfect centerpiece for your bedroom. A Mission nightstand will complement your Mission bed perfectly. 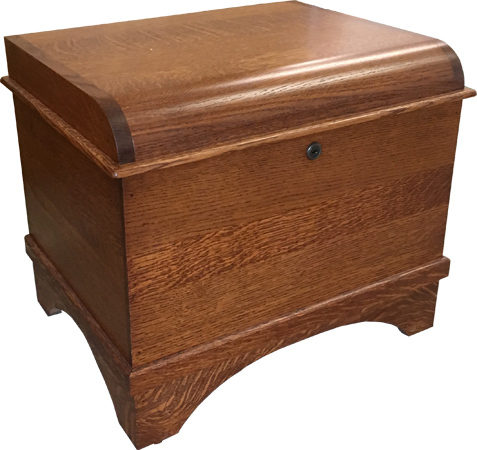 We also offer a variety of nightstand styles, including open and closed designs. Pick a three-drawer nightstand if you need extra storage or choose a nightstand with doors for even more storage flexibility. We also offer Mission Blanket Chests, which allow you to easily store blankets and bedding accessories. No matter what type of bedroom furniture you need, we have a variety of Mission furniture pieces for you to create the bedroom of your dreams. Design a unique look for your bedroom that makes you look forward to going to bed each night even more. At AmishOutletStore.com, we have a wide variety of Mission bedroom furniture that’s sure to meet your individual needs. Each piece of furniture is handcrafted by skilled Amish crafters who use proven construction techniques and only the highest quality hardwoods, ensuring our durable Mission bedroom furniture will last for years to come. Purchase high-quality Mission bedroom furniture from AmishOutletStore.com today and save up to 33% off the regular retail price!